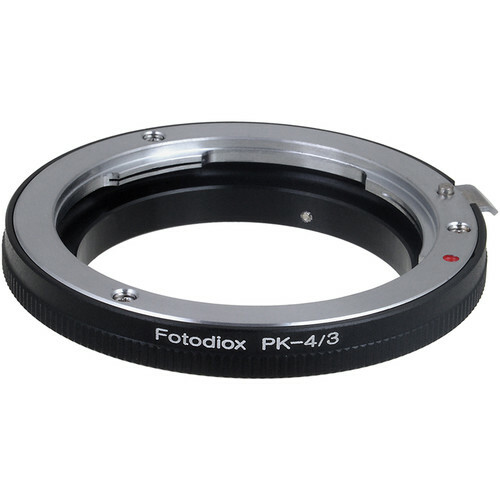 Make use of your existing Pentax K-mount lenses on your Olympus 4/3-mount camera with this Lens Mount Adapter from FotodioX. Precision-crafted out of hardened anodized aluminum, the adapter provides a secure and solid camera-to-lens connection. Additionally, it supports focusing to infinity. Box Dimensions (LxWxH) 3.3 x 3.25 x 0.8"